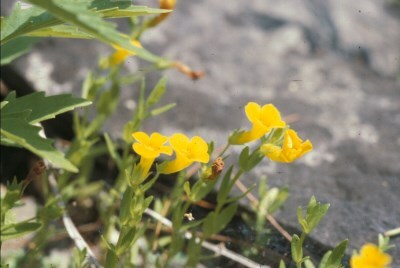 First discovered in Michigan in 1968 in Gogebic Co. as the submersed f. pusilla Fassett, in which the stems and leaves are of different texture than in terrestrial plants; and the conspicuous glands are lacking. Later found with the handsome yellow flowers, when water levels were lower. Thus far known in Gogebic Co. only from Clark, Long, and Snap Jack Lakes, but to be expected at other sandy-bottom, softwater lakes with such associates as Elatine minima, Eriocaulon aquaticum, and Lobelia dortmanna. On Drummond Island, it grows on the shores of Potagannissing Bay (S. N. Stephenson in 1988, MICH, MSC). MICHIGAN FLORA ONLINE. A. A. Reznicek, E. G. Voss, & B. S. Walters. February 2011. University of Michigan. Web. 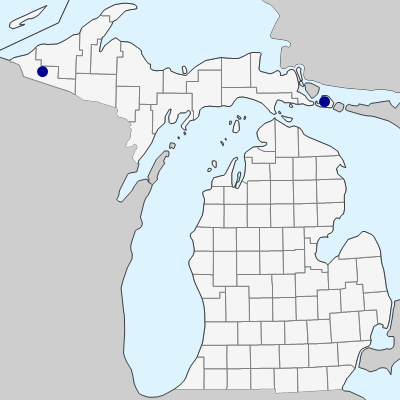 April 19, 2019. https://michiganflora.net/species.aspx?id=1944.